India’s former captain Sourav Ganguly has expressed his opinion on the ever-growing debate about MS Dhoni’s future in the shortest format of the game. After the uncharacteristic knock of the wicketkeeper-batsman in the 2nd T20I against New Zealand in Rajkot, he was criticized by many cricketing experts. During the chase of 197, Dhoni scored 49 from 37 balls and struggled to rotate the strike initially and Virat Kohli, at the other end, was left stranded as the required run rate kept creeping up and India, eventually, lost the match by 40 runs. The likes of VVS Laxman and Ajit Agarkar had bashed Dhoni for his slow knock and demanded that the Ranchi-lad should hang up his boots from T20Is to make way for the youngsters. 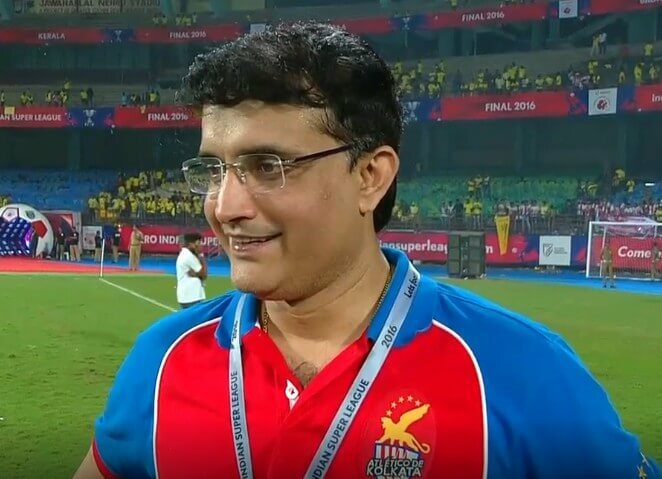 Sourav Ganguly feels that Dhoni is not as good a T20 player as he is in ODIs but he also believes that the 36-year-old can still be successful if he plays the format differently. “His record in T20I is not that good compared to ODIs. Hope Kohli and team management will speak to him separately. He has immense ability. If he approaches T20Is differently, then he will be successful,” he told PTI. The CAB President reckoned that Dhoni should keep playing the 50-over format and should make some changes for the shortest format of the game to continue. “Definitely not for One-dayers. I think he should keep playing One-day cricket, but he has to play differently in T20Is. He has to play T20Is freely. It depends on the selectors and how they would like to play him,” he added. Ganguly also mentioned that India will be the favorites to win against Sri Lanka in the upcoming series. The men in blue had absolutely demolished the Lankans across all formats the last time they toured the Island nation but Ganguly hopes that Sri Lanka poses a tougher challenge this time around. “Of course India are the favourites. They are a much better side than Sri Lanka. Recently they won in Sri Lanka across all formats. I hope it won’t be a one-sided series. The recent (limited overs) series against New Zealand was competitive. Hope Sri Lanka will play well,” he concluded.